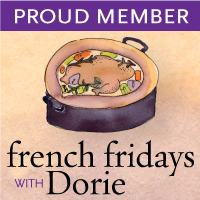 for French Friday with Dorie. I had been waiting to try this recipe for sometime and I think I got a little overboard with it. While I liked it, I wasn't overly impressed. The reason however is not the recipe...its just me. I over-complicated the flavors by mixing in raisins, prunes, dried cranberries, dates, hazelnuts and pecans. I should have kept things simple and filled up the apples with just one fruit and one nut. I thought the scoops consisting of just the baked apple and a fruit or a nut tasted lovely.. I will probably make these again but next time a simpler and a lovelier version.... Also next time, I will tent the bowl of filled apples with a sheet of aluminium foil from the very beginning so that I do not have to bake them for that extra 30 minutes beyond the recommended 75 minutes..
Visit French Fridays with Dorie to know what the other members thought about the pasta. You can the recipe here . For this one and many such delicious recipes order your copies of Around the French Table from Amazon or from The Book Depository and join us as we cook our way through the book. Shared these at Hearth and Soul Blog Hop at Zesty South Indian Kitchen. Your apples look wonderfully delicious! Glad that you liked them! Your apples certainly look delicious but I think you are right that they could have too many flavors competing for attention. We loved these! I hope you will try them again. Happy weekend! Interesting how much variability there seems to be in baking time. Mine was falling apart after just 45 minutes, but it seems that many Doristas required significant extra time. I used a mix of fruits and nuts, but liked the medley. I love how delicious and brown your apples look! Yours look so pretty and perfect. I think the variety of apple must have affected the bake time, as everyone's seemed to be different. Your apples look so luscious ! Mine looked quite dried out but I imagine the error of basting them in cider VINEGAR played into that :) That said, they still were not bad and now that I learned of my error and I looking forward to trying them again. I also plan to tent them from the outset to protect the filling from getting so dark and to try to get them softer, quicker. Your pictures are lovely! Glad you liked it even if it was a little over complicated. 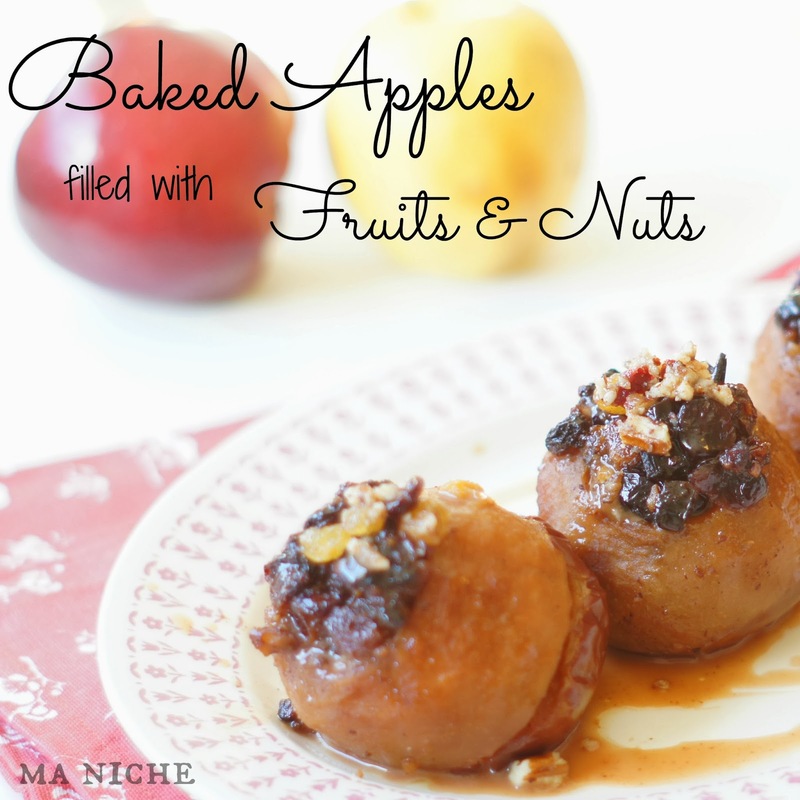 Your apples look so soft and beautifully caramelized! Next time I'm definitely breaking out the foil right off the bat. They do loo delicious! Although, I agree that the simpler the flavors added, the better. Good idea on the foil! Your apples look terrific! I think tenting them was a great idea. You still will probably have to cook your apples for a longer time than Dorie suggests. I cooked mine for a loooong time and they still were a little too crunchy. I think your filling sounds fantastic......a good combo. Your idea of tenting makes sense. Since I will make these again, thanks for the tip. The apples look good. I used a few different fruits and one nut. I didn't think it was too complicated. It seems like baking time for the apples varied widely. The apples look beautiful and sound like an explosion of flavor! 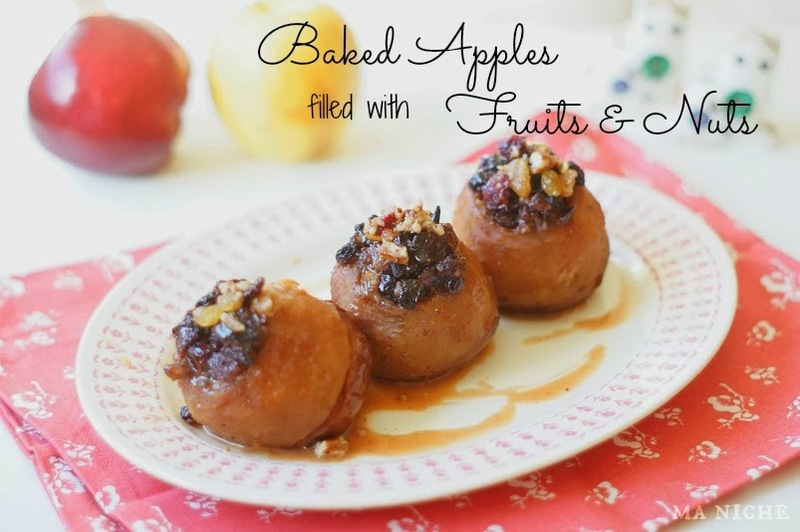 I just love these Baked Apples! This is a fantastic recipe and thanks so much for sharing it with us. Hope to see you again real soon at Full Plate Thursday!